If you want to write young adult fiction, you should test your manuscript on your target audience. Teen beta readers can check the voice and give brutally honest feedback. My instructions sheet for high school and college student readers starts with: does my protagonist sound like an 18-year-old girl or a middle aged mom? I tell them to flag the slow or confusing parts. For general feedback, I ask that they pair comments with examples from the text. I discovered how much YA fiction has evolved since I was a teenager by reading along with my daughter. Gemma's interest encouraged me to try writing YA myself with her input. Our collaboration has helped both my work and our relationship. As a writer and a parent, it helps to see the world from my children's perspective, to listen without judgment. It's easier to discuss emotionally charged topics like underage drinking or romantic relationships when talking about fictional characters. Gemma is also an excellent editor. Family members may be the easiest to enlist for help, but it's also important to use readers who aren't related to you. 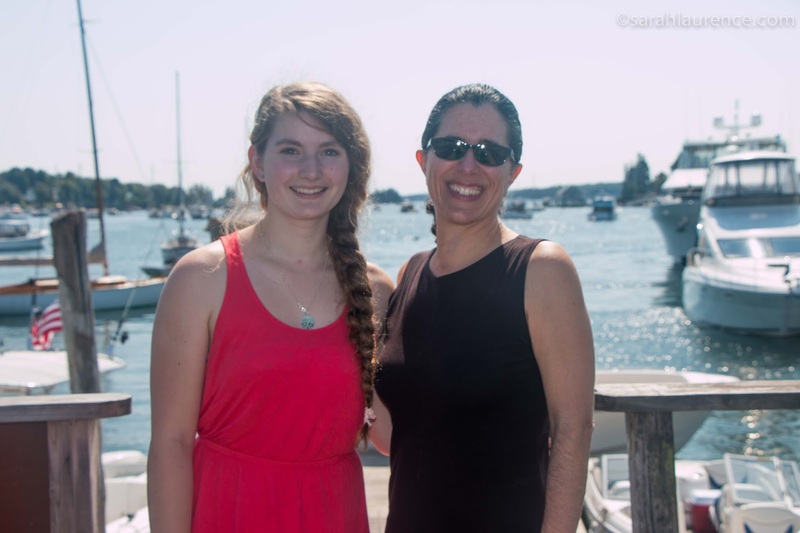 For my Maine YA novel, I needed a reader who grew up in a small harbor town. 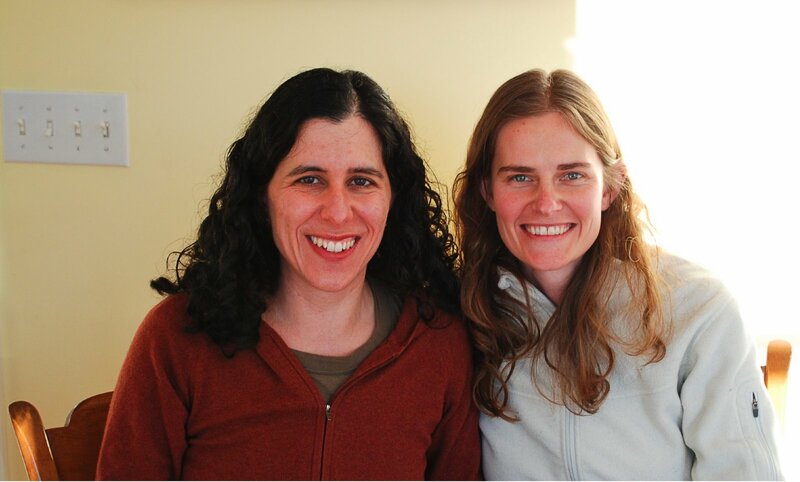 My daughter had attended Chewonki Semester School with Maya from Boothbay Harbor (in top photo with me). After Maya read my manuscript, I took her out for lunch there to discuss things like accents, the offseason environment and small town details. 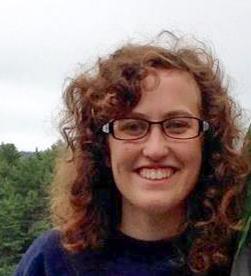 My home town in Maine is larger than hers and not as reliant on tourism and lobster fishing. Brittany, a college friend of my son, grew up in a small town in Vermont. When visiting us, she shared her experiences and was a good sport about letting me use some in my novel. Her dad works in a bookstore so she reads lots of YA. Brittany was an ideal beta reader, pointing to what worked and didn't work quite as well in the story. It was also helpful to have a reader who was unfamiliar with Maine. My character Brit shares her name by coincidence. Since my husband teaches at Bowdoin College and we live next door to a dorm, we spend a lot of time with students. His advisee Janki started following my blog because she reads YA novels with her younger sister to stay connected. I was delighted when she offered to read for me after graduation. 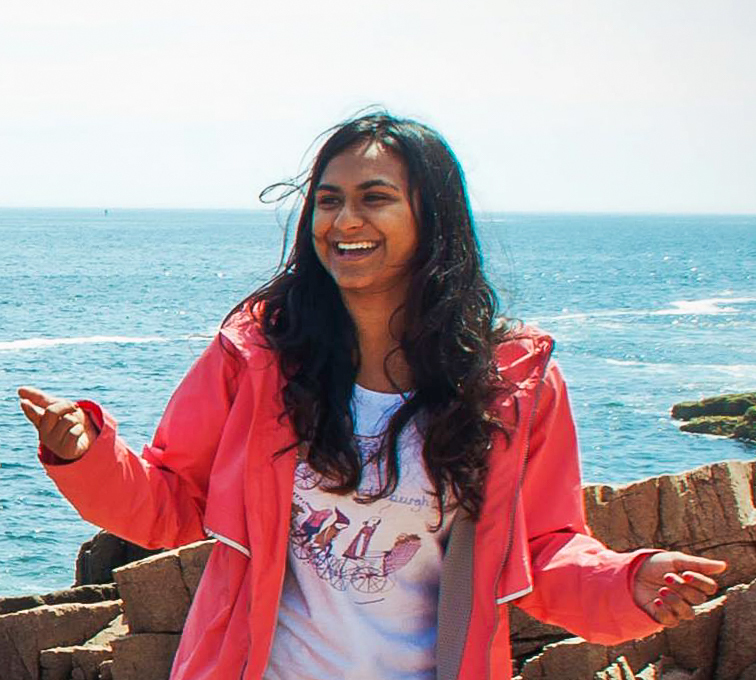 Janki helped fine tune the friend group dynamics, especially the relationship between my protagonist and Safia, a character who shares her ethnicity. When writing outside your own personal experience, it's important to get feedback and to listen. Respond to criticism that lines up and/or resonates with you. I also received big picture feedback from two children's author friends, Charlotte Agell and Barrie Summy, and from Marika Josephson, a former assistant editor of KidSpirit Magazine. My architect brother fact checked the house building and stage design scenes. My husband and parents lent their sharp eyes to proofreading. I spent more time revising than writing my novel. I didn't query literary agents until draft eight. It was well worth the effort. My new agent wants only minor changes. When I receive her editorial notes, I will revise once again. Then the polished manuscript will be submitted to editors at publishing houses. If they make an offer, there will be several more rounds of revision. Most of writing is rewriting. You need to embrace revision to get published. 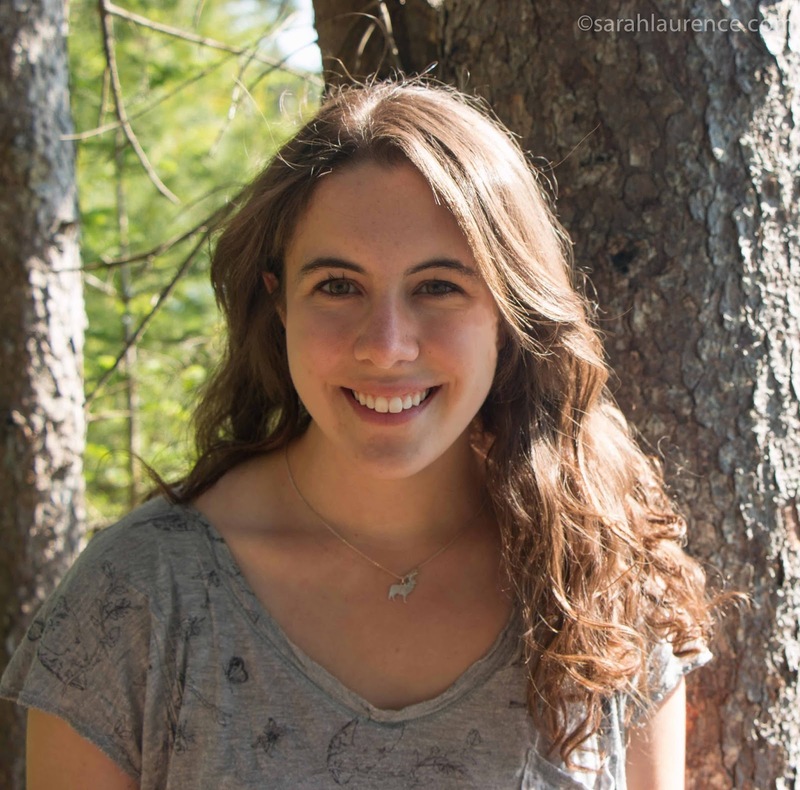 Finding Free Critique Groups: If you're writing for kids or teens and want to join a free critique group in your region, become a member of the Society of Children's Writers and Illustrators. 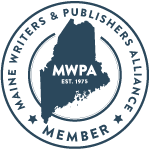 In my state the Maine Writers and Publishers Alliance helps writers of all genres organize into critique groups. These nonprofit organizations also offer writing workshops and paid critiques from professionals. I'm a member of both SCBWI and MWPA but found my crit partners and beta readers on my own. Good luck revising! Oh my. Just a ton of work. Revising that is....:) I don't think I could do it. Such a lovely bunch of readers. You are fortunate to have such a dynamic group to give you feedback on your YA novel. As I embark on a new novel, I appreciate your advice about both the drafting and revising stages. Am currently re-reading Anne Lamott's Bird by Bird and having a chuckle at her advice about s*&^%y first drafts :)) Congrats on doing such a thorough job with your manuscript that your agent wants only minor changes! ACiL, it's still a bit scary even if I need it. troutbirder, it is a lot work, but luckily I enjoy it. Pamela, I am indeed lucky for these wonderful readers. Amanda, best advice ever! You would laugh if you saw my first draft. It's quite a process! Hopefully you agree with most of the rewriting changes? Every once in awhile I suspect you say : I like it like that and plan to keep as is. I do value re-writing as it seems to improve one's work each time. Cue, good question! I always listen and give all feedback consideration, but I only respond to criticism that resonates with me and/or lines up. If several readers say the same thing, I do need to fix the problem. The solution is mine. Also criticism from my agent would weigh more than criticism from a new reader. Even so, sometimes as a writer you need to stay true to your vision. So interesting to read about this process. You are one hard-working writer! Bee, thanks! Sorry to be so slow to respond. I was in Japan for 2 months with unreliable wifi.